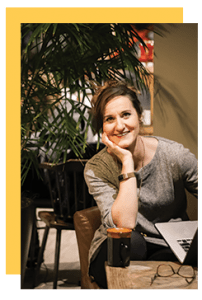 For many businesses and non-profit organizations, their website is the “front door” to their organization. It shows potential visitors what your organization is about and how a visitor can join or engage with it. 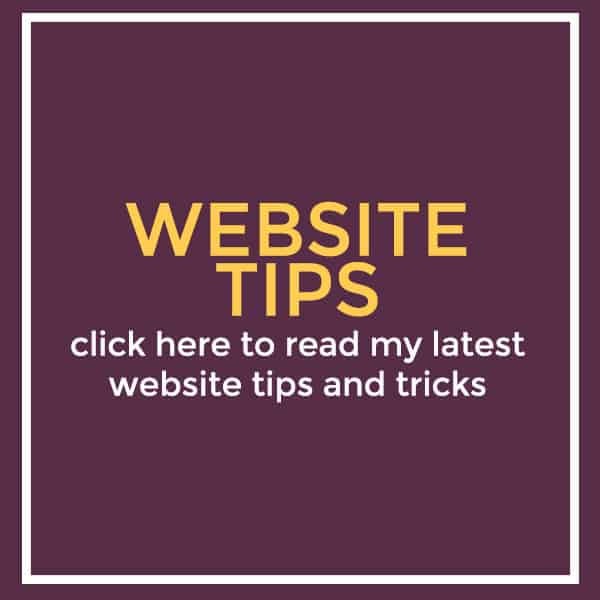 An additional challenge for churches is that a church website is often the information hub for current members also. 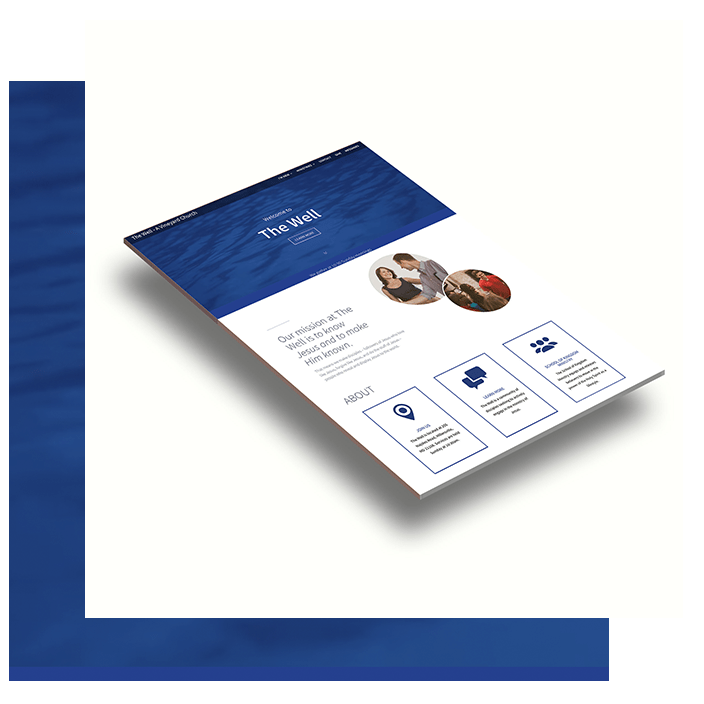 A church website can be a great communications tool for the organization and has to be able to communicate information about events and ministries and give an easy way to stay connected. The Well Vineyard Church is a growing mid-size church in Maryland. 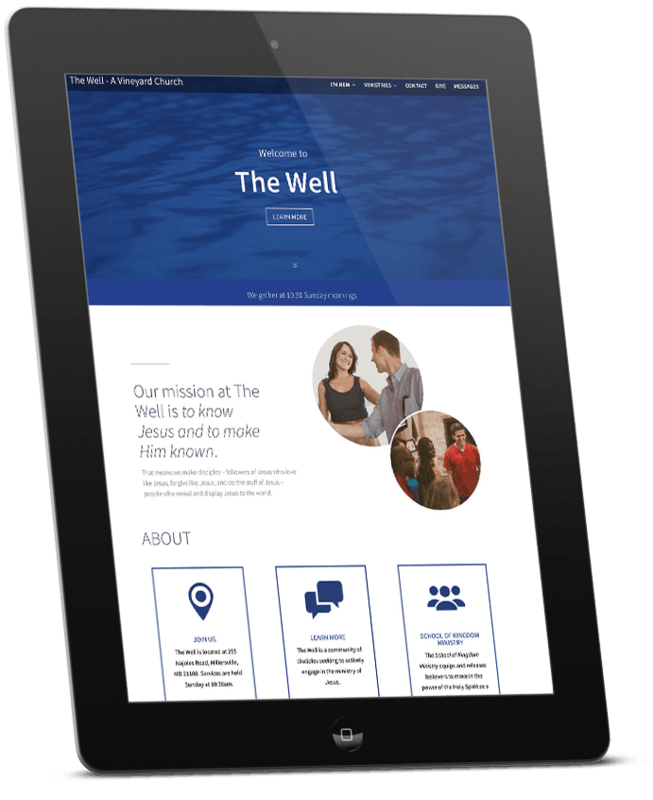 The Well Vineyard Church needed a new website design that had a modern, clean look and would be mobile responsive. The website needed functionality for an online calendar, hosting sermon audio, and a central contact for the church. The client also wanted to incorporate a video header to add dimension and interest to the front page. High performing church websites have a primary audience (either new visitors or current members). 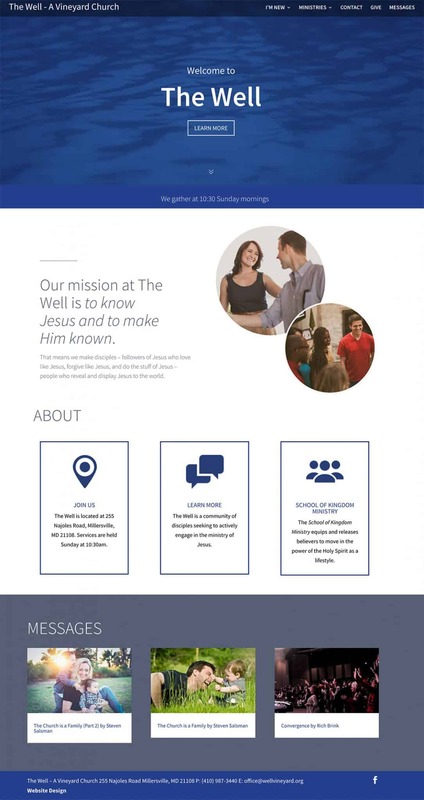 This church chose to focus the home page on visitors to the church, moving key visitor information to the front of the website. 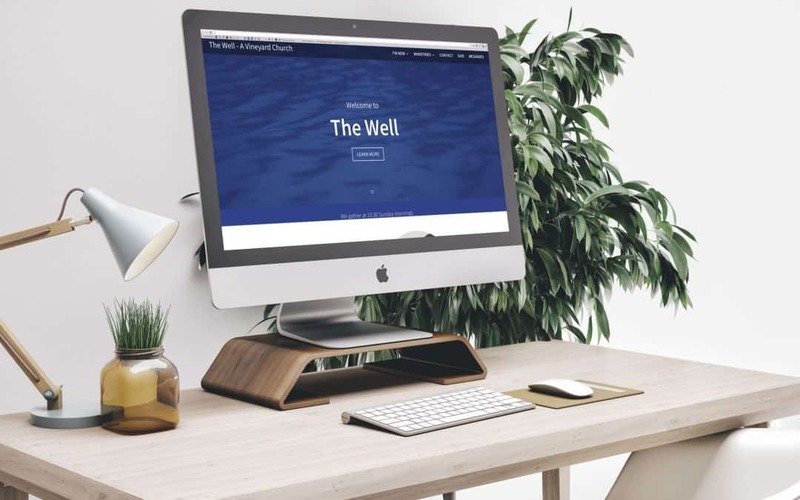 We created a complementary one-page website that matched the current branding of the church with a focus on flowing water based on their name, The Well. 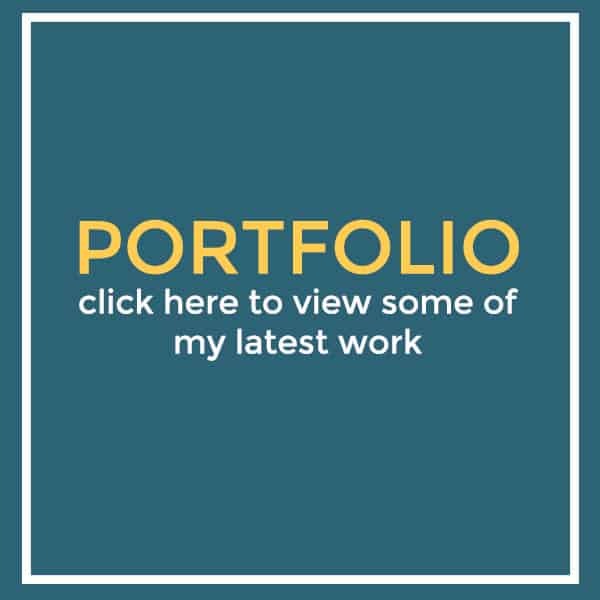 Because of the amount of open space in this design, I was able to create a mobile version that was similar to the online version.